The platform prototype has nearly become a game in itself. 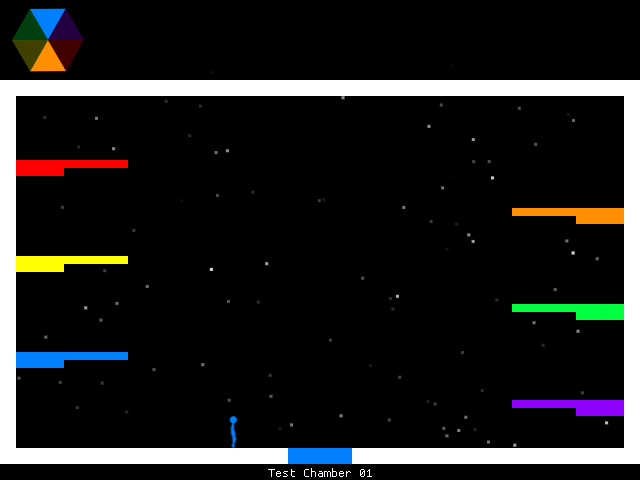 When I started working for Hiive it had the basic mechanics functioning in a test level. 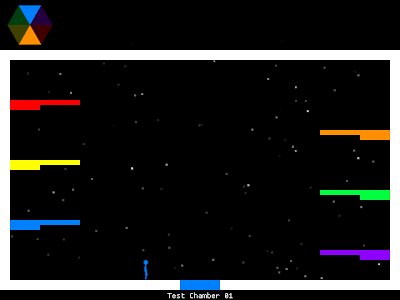 The player can run, jump, change color, and perform an impressively athletic wall-jump. 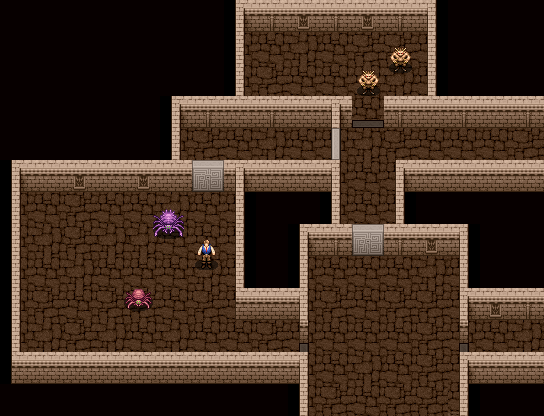 Since I started working on it I have taken it from a cool concept to a promising game in the works. My primary project has been to take the raw prototype level format and expand it to create a functioning editor screen, and I am happy to say it has been going well. It's is still far from finished, however it is getting closer and closer. Once the serializer (to save levels) has been finished the floodgates will open for new levels and the prototype will be in its final stages of creation. 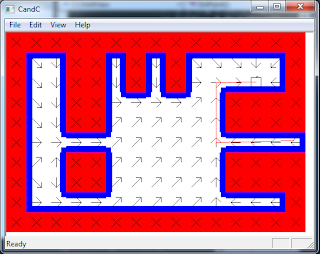 Within the editor screen, you can place and remove any block, reassign the start and finish position, place any color of horizontal or vertical robot and set waypoints for them to travel between, and remove those robots when you decide they weren't in the best position. 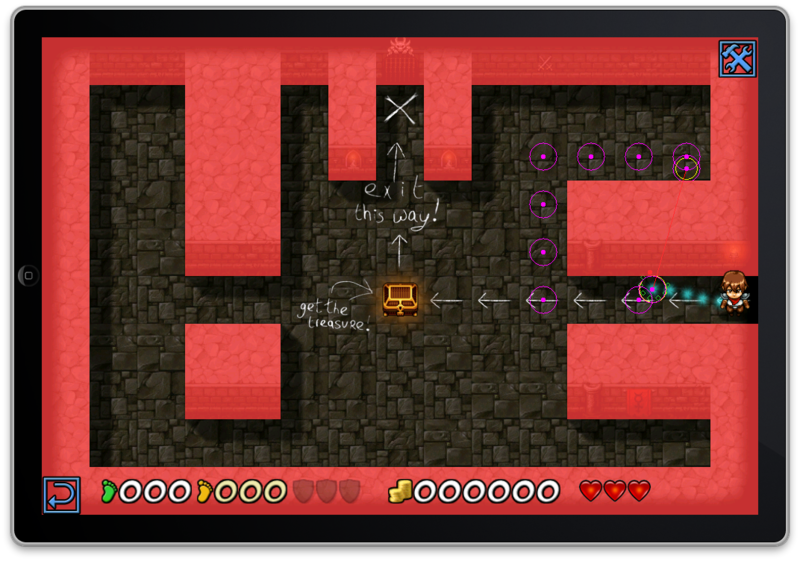 Even incomplete, the game is both fun to play and to create levels for. Once the game is further along, the finish point, which is currently a tesseract, will be a wormhole, and collectible items that unlock your colors will be required to reach the wormhole to the next level. For example, in this level, good luck reaching the finish point without using green, either to run along the top platform or to wall jump from wall to wall. The robot's are immortal, the player currently has no way of defeating them, though there have been a few ideas tossed around for their possible demise. Future plans include attaching the tesseract graphic to collectibles, adding a third robot that either moves in a set multidirectional path or chases the player, finishing the serializer so new levels can be added, and making the editor screen more user friendly. I'm sure most of you are familiar with the concept of prototyping. Often it's the only way to determine whether a game will pan out (in terms of gameplay ideas). I know what the basic storyline is, and I know I have some interesting and original game mechanic ideas that lend themselves well to that story line. What I don't know is how well they will work in practice. 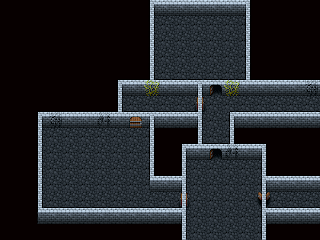 With that in mind, I'm planning on implementing a quick prototype of some of the ideas in Monkey. It's a fun little programming language, and (despite not having a debugger), it's a pretty good fit for what I want to do. Of particular interest to me is the ability to target multiple platforms (currently HTML5, OsX, Windows, XNA (and hence Windows Phone and XBOX 360) as well as iOS and Android. That's a whole lot of platforms. Of course, that doesn't mean I intend to test my prototype on all of those platforms, but if you have a simple 2D game idea in mind, there are certainly worse programming languages to use to target all those platforms at once. In my case, the choice of prototyping language is due to a golden rule I always intend to follow when prototyping but never quite manage to do so; that is all prototype code should be thrown away at the end of the prototype. It will have been munged and hacked, and probably stinks to high heaven. If I wrote it in the target language to start with, it would be tempting to just use it as is instead of rewrite it properly. By using a different language, I have no choice. Another issue with prototyping is the use of test art. I'm not really an artist - I dabble, but that's about it... Ian, on the other hand, is an excellent artist, but I'm not about to ask him to produce a load of throwaway art so I can use it in a prototype. With that in mind, I searched for some stick-art walk and run cycle animations on the web. I was unable to find any suitable (although I was amazed to find that there are websites devoted to stick-art animation). I did find a fairly decent tool called Stykz designed for animating stick art characters and - after about an hour of playing around managed to put together a reasonably decent walk and run cycle. Now admittedly they are not perfect, but they will do for my prototyping purposes (and you are welcome to them for you own use if you think they'd be useful). If so, it will certainly be an interesting detour before returning to Shattered, and will give Ian even more time to produce artwork. ADDENDUM: Monkey is, so far, proving to be a total pain in the arse. There is no debugger! Apparently one is in the works. I shall persist for a little while more to see if the pain eases. Failing that, I'll put it to one side until the promised debugger appears! ADDENDUM 2: I'm starting to grok it a little bit. The lack of a debugger is painful, but with careful programming (and judicious use of logging) it's possible to get stuff working. After a day, I have this (as well as a reasonable understanding of the framework). ADDENDUM 3: A few days later and I'm getting a feel for it. The lack of a debugger is an unholy pain, but it has the advantage of making you think about the code more before you run it. Additionally, it's possible to load the XNA target into Visual Studio and debug it there - the code mapping is remarkably one-to-one. Some days I swear I have ADD; I seem to be able to come up with the idea for a new game at the drop of a hat, inspired sometimes by the most unlikely sources. Other times, I see a new game I like and I think "Hey, wouldn't it be cool to do something like that." Now to be fair, most of these ideas are fleeting (and crap) but sometimes I come up with a gem. In fact, I come up with far too many so that it's difficult to decide which one to start working on next. I have a document titled "Game Ideas 2012" that I use to keep track of game ideas that I have had so far this year as well as those of my artist, Ian Maclean. There are far more good ideas in that document that I can possibly work on, and I always want to start on two or three, with the current favorite depending on such factors as what mood I am in on a particular day. I only wish I had the time and resources to work on multiple projects. This kind of analysis paralysis, as many of you will know, is extremely counterproductive. By prevaricating and procrastinating on which game to work on next, no work gets done at all. So. In order not to just spin my wheels indefinitely I had to come up with a concrete plan. My last blog post actually provided some of the seeds for this plan, which I shall detail below. The first part of the grand plan is to pick one of the game designs and flesh it out into a full plan. The second part of the plan is to start working on better PR. From my observations it seems that a game being good (or at least not terrible) isn't enough. I've seen good games fall by the wayside and not so good games go on to great success and all combinations thereof, examples being VVVVV, Hack Slash Loot, Cthulhu Saves the World, Magnetic Billiards, They Must Be Fed and Cave Story. I'll leave it as an exercise to the reader as to which game fits into which category. So, without further ado, it's time to make a decision. Our next game is going to be an old school flick-screen platform adventure games along the lines of the old ZX Spectrum game Universal Hero. 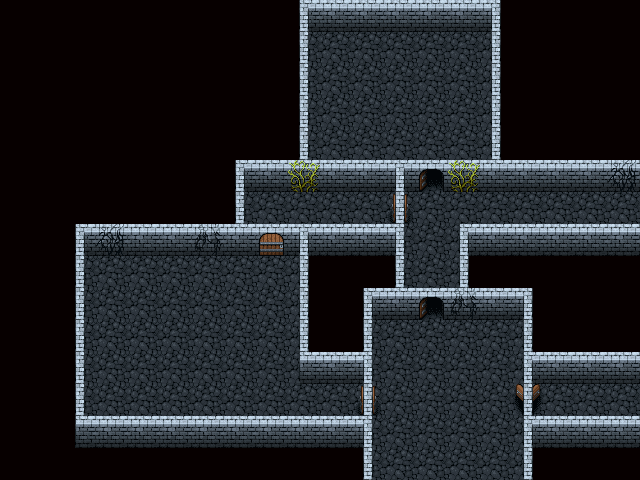 The new game (with the working title of "Shattered") is in the early planning stages right now. Obviously we don't just want to regurgitate a standard platform adventure without attempting to bring something new to the genre. We won't go into great detail as to what we will be bringing, simply because it's still in flux. In the meantime, we do have an early work-in-progress screenshot of one of the earlier screens in the game. Bear in mind that this is a work-in-progress. The final game should look much better. However, there is some benefit to documenting our progress both for the benefit of ourselves and others. Sure, it might not look like much yet, but remember it's only a very early shot. Hell, we don't even have the game engine in place yet. 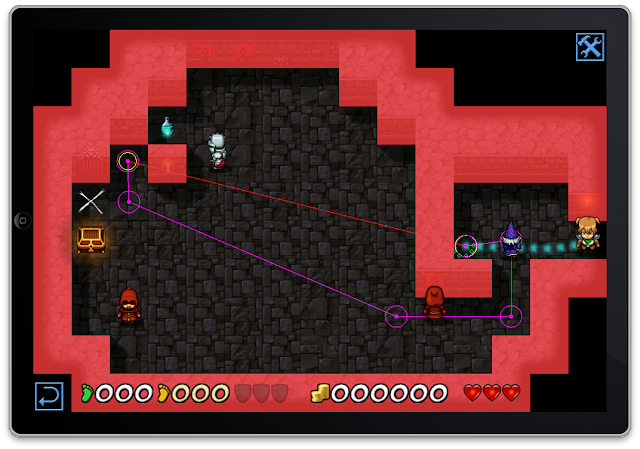 Right now we're mainly fleshing out the story and working on the look and feel we want for the game. It may well change radically before long. And if and when it does, you'll be able to read about it here. So - other news? 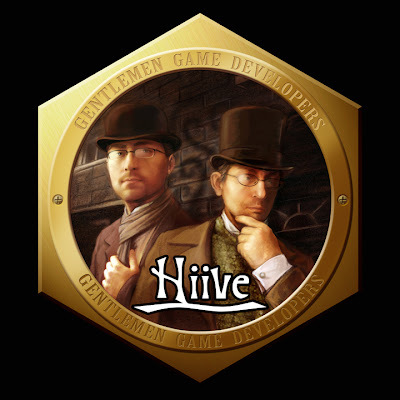 Ian, the artist, liked my last blog post ranting about us describing ourselves as Gentlemen Game Developers(TM), that he ran with it, coming up with this awesome logo. 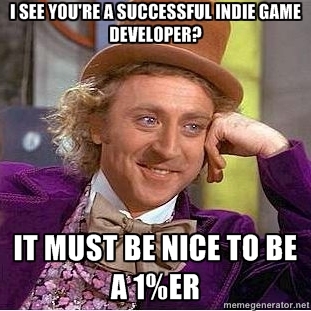 "We're not indies, we're gentlemen game developers"
It still needs a few tweaks here and there, but it's pretty close to being done. I'm really happy with it. It will make a fine public image for this and future projects. In the meantime, I thoroughly recommend taking a look at Ian's website for other examples of his fine artwork - especially if you need a versatile and very reasonably priced artist to work on your project. One of the biggest flaws (and complaints from players) with the iOS version of Creatures & Castles was that the path-tracing tended to be a little flakey - particularly on the smaller devices, where navigating around corners would prove to be a problem as the cursor tended to get stuck behind an obstacle. It was a valid complaint, mainly because corner navigation was something I hacked in at the last moment and did not have the time to implement a proper solution (such as A*). Luckily, if I don't know how to do something properly then I have no problem in enlisting the help of someone who can. The genius in question for this particular endeavour is Eddie Edwards, a genius of the certifiably annoying damn-why-can't-I-do-the-stuff-that-he-does-effortlessly kind who I was fortunate enough to work with many years ago when I was fresh out of university. The decision to ask Eddie to help was purely because I knew that in a couple of hours he'd be able to casually implement what probably would have taken me days or weeks of frustration and head-scratching, and sadly I don't have the time to be able to do that. Getting his help saved me time (and by definition money). So - after a brief explanation of the problem and the provision of some sample data, a C++ program duly arrived in my inbox with the path-finding code implemented and a nice little sample program that demonstrated how the library worked. 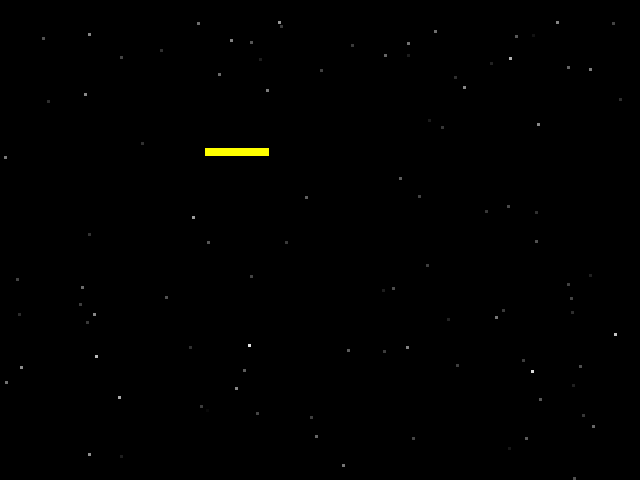 The arrows indicate the direction to travel to reach the target square. The magenta circles show the rough path to the destination point. It's a bit rough around the edges and will require some massaging to integrate fully to produce nice paths, but the hard part is done - the determination of the optimal route from a start point to a destination point when the way is blocked by one or more walls. 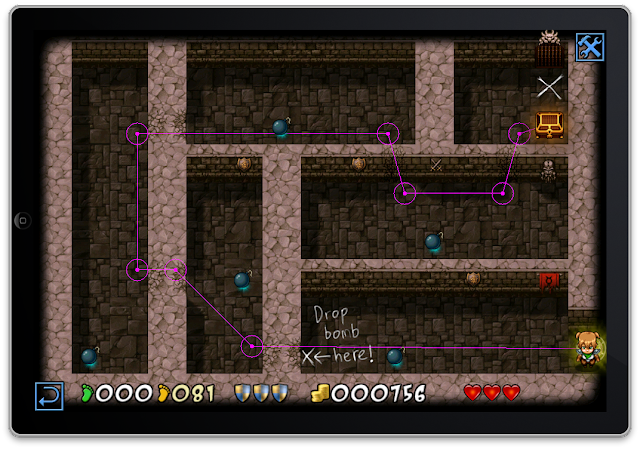 Basic path optimization - removal of intermediate points revealing the most efficient path (magenta line). 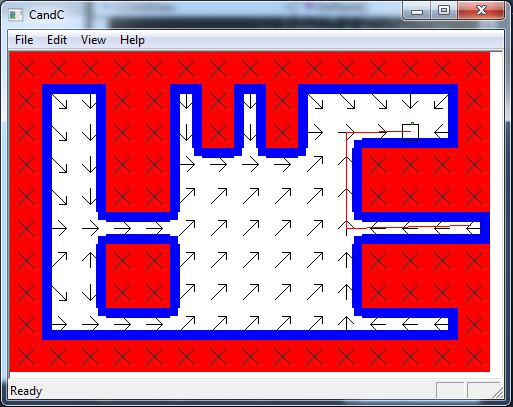 The code as it stands provides a complete path between any two point routed though the center of any intervening tile. It's not particularly memory efficient, as it generates a large lookup table for each level. Currently, my integration of the library provides for this to be generated as each level is loaded. However, this may well be too slow on iOS devices (Eddie himself recommended that I should pre-generate the lookup data and store it to be loaded as required). What I'll probably end up doing is generating it on first play and then cacheing it in the temporary application cache. Data stored in there is only removed when the system runs low on space. Even though the full path between two target points is generated, it only uses the eight cardinal directions, leading to some sub-optimal paths in wide open spaces. This isn't necessarily a problem. The code already does the hard part of finding a route; in order to avoid some of the pitfalls of the cell-based approach to navigation I can simply post-process the generated path to remove redundant points (as in the image below). That is, I can remove any point along the path that can be connected via a straight line with any other point, provided there is no intervening obstacle. With this, and a couple of other minor tweaks (including increasing the granularity of the route finder so it doesn't aim smack-dab for the center of each cell, but instead tries to find the shortest distance to the next cell) the generated paths should be a lot more realistic and - crucially - our long national nightmare of tricky controls should be over and done with. A more complicated route-finding example. If I'm feeling particularly clever I may even implement a little path smoothing based on the Catmull-Rom formula, but that's a topic for another day.